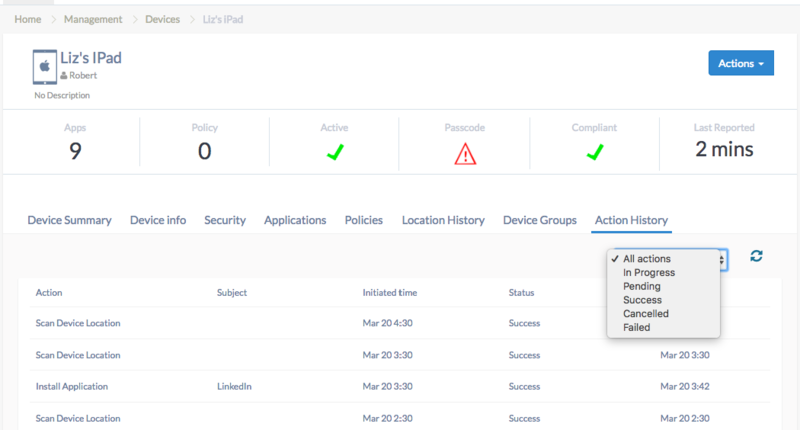 The new Action History tab on the device details page(Management > Devices >Select your device) is now faster and easier to use. Not only does it allow you to categorize actions based on their status (in progress, pending, success, cancelled, failed) , but also allows you to delete pending actions. This topic was modified 1 year ago by Hexnode Support.